Almost everything you share is private and protected both legally and ethically. Even if a close friend or family member were to contact me and ask about you, I would not disclose that I even know you. Information will only be legally divulged under 4 circumstances: 1) I have reason to believe that you are in imminent danger of harming yourself or another person; 2) I am subpoenaed by a judge; 3) You reveal to me that you know of specific cases of either child or elder abuse occurring; 4) I have your written consent. Therapy is usually a 50-minute (a "therapist's hour") session every week. Sometimes releases happen in the first session. Sometimes in the fifth. Sometimes, clients want to just keep working. Deep work takes patience. Twelve sessions are equivalent to a weekend workshop, or a full year is equivalent to an intensive 10-day seminar. I'll take a vacation instead! Do it! When you get back, say hello to the old self who didn't change. Therapy is way cheaper than a holiday and it provides much longer lasting benefits. Learning to navigate and understand your interior world is a process of commitment and an investment in your long-term health and well-being. Yes, I test via questionnaires to gain insight into an individual's personality and thinking patterns. These tests are not hard-core psych tests—don't worry. If you want that, we can but I usually advise against it. Yes, absolutely. I love working with couples—whether it is to help rekindle the depth of love and trust in a long-standing relationship, or to assist in establishing a sense of security and understanding in a new relationship. I may be asked about renewing existing bonds (to renew trust, love, safety, and respect after infidelities) and I may facilitate more personal, effective, and respectful breakups of couples who have decided to either divorce, separate, or disengage in some way. No. I only work with clients who are 19 years of age and older. Postmodern Gestalt therapy is an existential/experiential form of psychotherapy that emphasizes creative adjustment, and focuses upon the individual's experience in the present moment, the therapist-client relationship, the environmental and social contexts of a person's life, and the self-regulating adjustments people make as a result of their overall situation. The Internal Family Systems Model (IFS) has evolved over the past twenty years into a comprehensive approach that includes guidelines for working with individuals, couples, and families. The IFS Model represents a new synthesis of two already-existing paradigms: systems thinking and the multiplicity of the mind. It brings concepts and methods from the structural, strategic, narrative, and Bowenian schools of family therapy to the world of subpersonalities. ACT is an empirically-based psychological intervention that uses acceptance and mindfulness strategies mixed in different ways with commitment and behaviour change strategies, to increase psychological flexibility. These therapies were developed for use in treatment of personality disorders and chronic Axis I disorders, such as when patients fail to respond or relapse after having been through other therapies (for example, traditional CBT). Schema Therapy is an integrative, 21st-century psychotherapy synergistically and systematically combining theory and techniques from previously existing therapies. Transactional Analysis is an older version of Schema Therapy; however it has a broader base of assumptions and models which are also useful to consider. Short-term dynamic psychotherapy applies psychoanalytic principles to define and understand the dynamics and problems that clients bring to the therapy session. 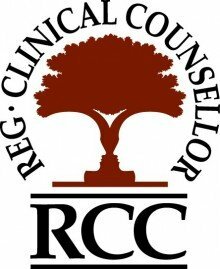 The aim of this approach is to uncover the feelings or thoughts that interfere with a client's relationships, communication, and daily functioning. These practices, originally derived from the non-religious side of Buddhist teachings, include techniques designed to promote relaxation and develop compassion, love, patience, generosity and forgiveness. Drama Therapy is the use of dramatic techniques to facilitate personal growth and promote mental health. Drama Therapy exists in many forms and can be applicable to individuals and couples. If the client wishes, this approach can address the integrated nature of the mind, body and the elusive "soul". Most therapists choose to bypass spirituality, the divine, and the soul, and yet, this work can be an important component of our work together—even to those who claim to have limited views on spirituality benefit from this work.